It is vital to reward and recognise what our Armed Forces do for us. This recognition extends not just to those in the Services but also their families and veterans, and especially the injured and the bereaved. The first Armed Forces Covenant Annual Report was published on Thursday 6th December 2012. It explains what has been done since the interim report published in 2011, and what we plan to do to address the disadvantages that remain. The Covenant sets out the relationship between the nation, the government and the Armed Forces. It recognises that the whole nation has a moral obligation to members of the Armed Forces and their families, and it establishes how they should expect to be treated. It exists to redress the disadvantages that the Armed Forces community faces in comparison to other citizens, and to recognise sacrifices made. In some cases this will require special consideration, especially for those who have given the most such as those who are injured and bereaved. Since the Armed Forces Covenant was published in May 2011, the government, partner charities and voluntary organisations have been very busy. We have delivered on a number of commitments, introduced the Community Covenant (with a £30m grant scheme to support it) and produced the first statutory annual report on our progress and on where disadvantages remain. 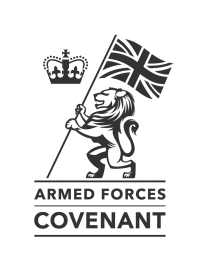 The principle behind the Covenant is that the Armed Forces Community should not face disadvantage because of its military experience. In some cases, such as the sick, injured or bereaved, this means giving special consideration to enable access to public or commercial services that civilians would not receive. The Covenant covers issues from housing and education to support after Service. It is crucial to the government that it, and the nation, recognises the unique and immense sacrifices the Armed Forces Community makes. Service in the Armed Forces is different from other occupations. Apart from the obvious uncertainties and dangers, service personnel relinquish some of their own civil liberties and put themselves in harm’s way to protect others. The risk of death (occupational attributable mortality) for the Army overall is currently around one in 1000 per year, or about 150 times greater than for the general working population. Risk of serious injury (for example loss of limbs, eyes or other body parts) is substantially increased. What is the Community Covenant? A Community Covenant is a voluntary statement of mutual support between a civilian community and its local Armed Forces Community. It is intended to complement, at local level, the Armed Forces Covenant, which outlines the moral obligation between the Nation, the Government and the Armed Forces. The aim of the Community Covenant is to encourage local communities to support the Service community in their area and promote understanding and awareness amongst the public of issues affecting the Armed Forces Community. It is supported by the Community Covenant Grant Scheme which has been established to financially support projects, at the local level, which strengthen the ties or the mutual understanding between members of the Armed Forces Community and the wider community in which they live. The Community Covenant is a local agreement between an individual or organisation with the Military for Defence on behalf of serving personnel, veterans and their families to show support in meeting the military covenant. There are covenants both for local authorities and separately with the NHS. To ensure effective communication, collaboration with MoD / reservist / charitable bodies that are actively supporting this agenda in Kent and Medway, increase awareness, training and development of all partners within Kent and Medway. Any organisation that meets the criteria of the Covenant Grant Scheme. There are no limits to who can apply to the grant from Age Concern to a childcare provision - if they can demonstrate and meet the criteria then we want them to apply. This would involve a day’s training to provide Cultural Awareness for those who have little previous experience of the Armed Forces and information sharing between organisations to examine and explore their services and the best routes for the Armed Forces community to gain access to them. Thus allowing for the development of an effective network to increase and reinforce the integration between communities. A resource pack has been developed that will be given to each of the participants to use when they return to their organisation. The aim is to train a group of approximately 40 Armed Forces Champions at the end of the day. This has been adapted from the Sussex elearning and provides general access for learning. The next step is to develop further modules to aid other healthcare professionals, law enforcement, local authorities and county councils which will provide a quicker introduction for the Champions who change on a regular basis and will include wider range of topics.